LaCrosse offers a spacious, quiet, luxurious cabin; up-to-the-minute technology features; the choice of an economical 4-cylinder or a strong V6; and a comfortable ride with surprisingly engaging road manners. Some testers find the non-traditional electronic shift lever a bit awkward to use. Optional on Essence and Premium models is a Dynamic Drive Package with an available electronic Continuous Damping Control active suspension (with driver-selectable Touring and Sport modes) that provides sharper cornering moves. 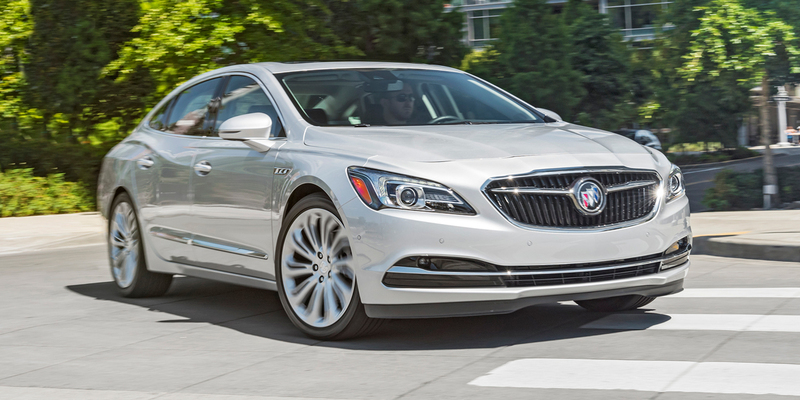 The LaCrosse is a large four-door sedan that is the bigger of the two cars in Buick’s model roster, slotting above the redesigned-for-2018 Regal line. The LaCrosse was redesigned for 2017 and gets a new base powertrain this year—a mild-hybrid “eAssist” 2.5-liter 4-cylinder engine that teams with a compact electric motor and lithium-ion battery pack for a total output of 194 horsepower. 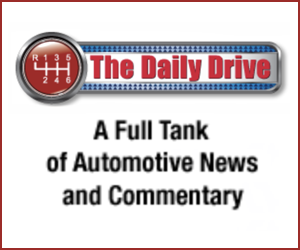 The previously standard 3.6-liter direct-injection V6 is now optional on all but the base trim level, and is now paired with a 9-speed automatic transmission in place of the previous 8-speed. 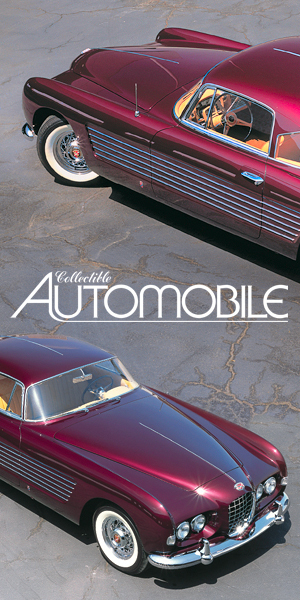 The model lineup ascends through Base, Preferred, Essence, and Premium trim levels. Standard features include a rearview camera, remote engine start, Apple CarPlay/Android Auto functionality, 4G LTE Wi-Fi Internet hotspot, keyless access and starting, and GM’s Teen Driver monitoring and control system. Wireless device charging, heated and massaging front seats, heated steering wheel, automatic park assist, and auto-dimming adaptive headlights are among the available features. Available safety features include forward collision warning and mitigation with pedestrian detection, blind-spot alert, lane-departure warning, lane-change alert, lane-keep assist, and rear cross-traffic alert. In addition to the above-mentioned eAssist mild-hybrid 4-cylinder and the switch to a 9-speed transmission for the V6, availability of all-wheel drive is expanded to the Essence trim level; AWD was previously offered only on the top-line Premium trim level. EPA ratings for the eAssist 4-cylinder are 25 mpg city/35 mpg highway. The V6 is rated at 21 city/31 highway with front-wheel drive and 20/29 with all-wheel drive. A fuel-saving stop/start system and Active Fuel Management (cylinder deactivation) are standard. 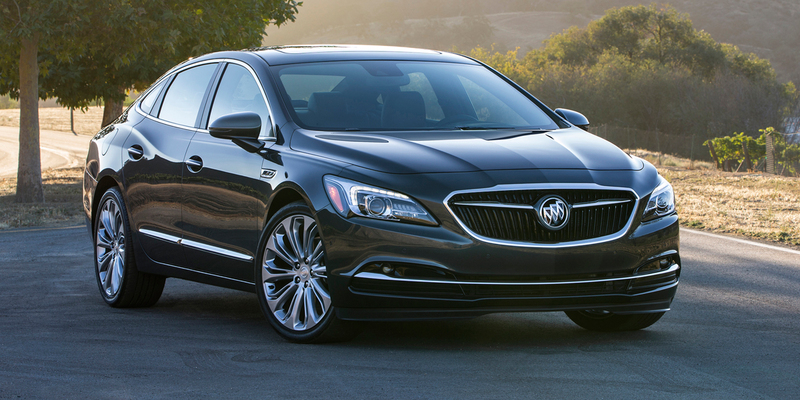 In Consumer Guide® testing, a front-wheel-drive LaCrosse Premium with the V6 averaged 21.1 mpg in mostly city driving. 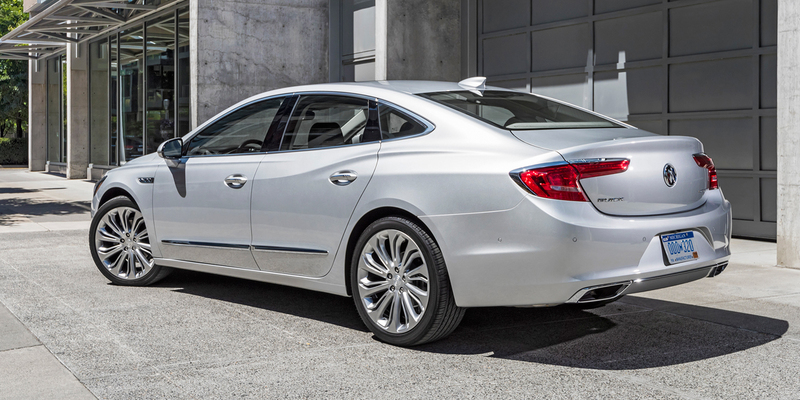 The fact that the Buick LaCrosse is exceptionally quiet, sumptuously trimmed, and offers generous passenger and trunk space is not surprising. What’s less expected is its composed ride, confident handling, and rakish-yet-classy styling. The addition of the eAssist mild-hybrid 4-cylinder powertrain should please eco-conscious buyers. The LaCrosse is one of the pricier vehicles in the large car category … but it’s also easily one of the best.